For the convenience and comfort of our patients, TotalCare for Women provides in-office surgeries and procedures. 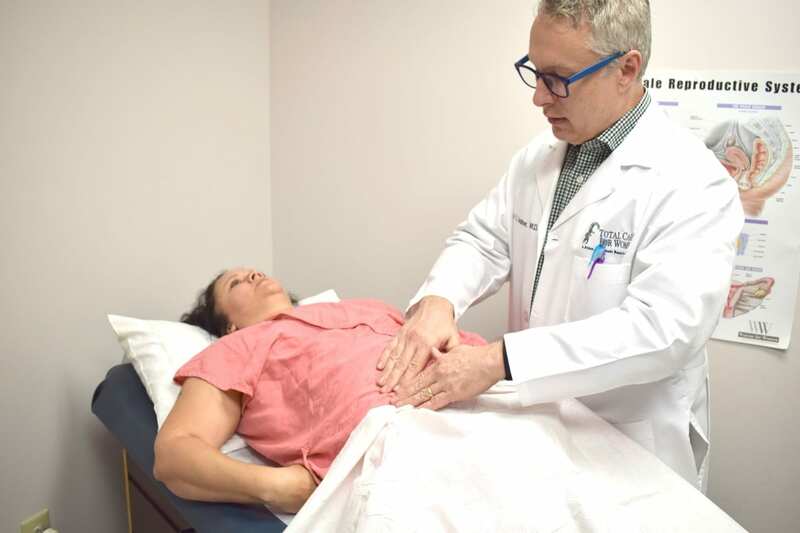 As one of the few OB/GYN practices in South Hampton Roads that offer in-office surgeries and procedures, a board certified anesthesiologist is also part of the team in providing safe procedures for the patients. These minor procedures are provided at the Chesapeake location. For more information or to make an appointment, click on the call us or book online buttons below. This in-office screening procedure offered by TotalCare for Women assists in diagnosing precancerous and cancerous conditions of the cervix. This in-office surgery procedure offered by TotalCare for Women treats abnormal uterine bleeding. This in-office surgery procedure offered by TotalCare for Women helps to treat Minor Dilation and Cutterage (D and C) for abnormal uterine bleeding. This in-office surgery procedure offered by TotalCare for Women is a permanent and irreversible birth control procedure. Find out more information about Essure here. This in-office procedure offered by TotalCare for Women is a birth control contraceptive implant. Find out more information about Nexplanon here.